Aveda hair products are not new to me, as I’d heard about them before this but never used them. I used to see a small inconspicuous salon in Bangsar Village 2 but I did not know that they had been relaunched on a bigger scale in Pavilion KL, with a bright shiny new large store (or as they will have it, “experience center”) and a hair salon to come. Interestingly, just before I met with the people from Aveda, I was having lunch with my blog designer who hails from the USA, and she told me that she had been using their products for a long time! In fact, she told me that Aveda does nice makeup products too! Hmm… I don’t think we get them here though. The brand bases itself on Ayurvedic principles and uses botanical extracts in their products and essential oils and where possible, are supposed to be natural, SLS-free and are manufactured in an environmentally friendly factory. My experience with natural hair products has been rather touch and go. They just don’t seem as effective as the chemically laden ones, but I was assured that the Aveda products are very effective. 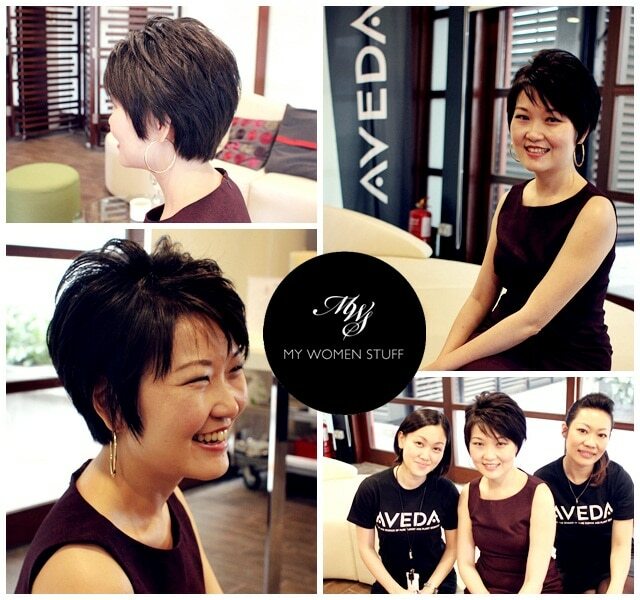 Have you tried any products by Aveda and would like to share your experience with them? In fact, during the introduction to the brand, I was told that when the Aveda hair salon opens in a few months time, they would be offering colouring services using their natural hair colours. The Invati hair care range that you see right at the top is a range for people with problems with thinning hair, as it promises to help prevent hair fall, and give you thicker fuller hair. The key ingredients include turmeric and ginseng – does sound very invigorating doesn’t it? Imagine all that on your hair. 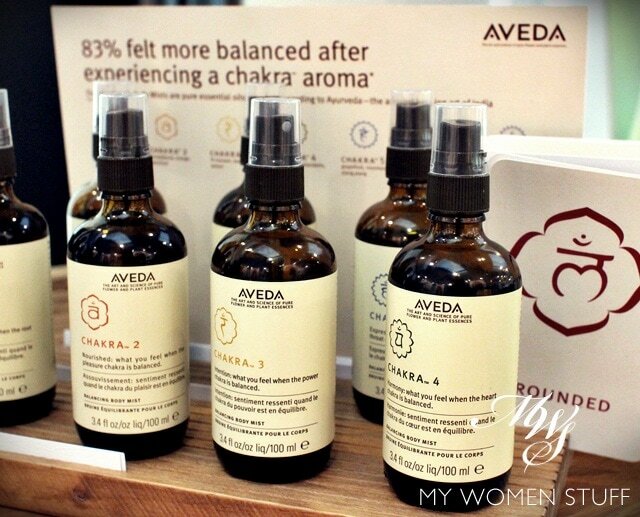 You can view the full range of hair products available from Aveda on their website and I was told that we will be getting most of them in 🙂 I found one more thing interesting – the Chakra Balancing Body Mists. What these are, are body mists infused with essential oils ostensibly to balance your emotions and well-being depending on which chakra is off balance for the day. I was shown a few cards from where I chose a colour that appealed most to me. It turned out to correspond to Chakra 2 which is the center of vitality and sensation. It smelt of spicy sandalwood and citrus, which isn’t a combination of scents I usually go for, but on that day, it just smelt right. I’d love to know whats good from Aveda if you’ve tried anything from the brand. My first ‘taste’ of Aveda shampoo was a small bottle of Rosemary Mint which was part of the bathroom kit in a hotel I stayed in, in Houston early last year. Using the shampoo made the shower smell really good (aromatherapy effect? )but it made my hair ‘stiff’. After a few days of using the product, my husband commented that my hair looked shiny, not the oily sort, but the nice shiny sort. And he NEVER (well not often) notices this sort of thing. I was sold from that point on. The only drawback at the time was that my hair felt stiff, even with the conditioner. Good thing that I happened to stay next to the Galleria and there was an Aveda shop on the top floor. The SA at told me that the stiffness is temporary because the shampoo is doing a total cleanup of the hair. I did not buy any from there as I know that there is an Aveda shop at Bangsar Village. They did not carry the full range though which was a bummer as my hair have special needs. I also tried their face mask and hair gel. I still use the hair gel which i like because it doesn’t give my hair that crispy texture. I cannot comment on the mask as I did not test drive it long enough. Thanks for sharing your experience with Aveda, Ishi 🙂 You have me intrigued by your shiny hair! Do you still use Aveda shampoo then? Oh and I like how their hair gel doesn’t leave hair crispy. Seriously, it bugs me when normal hair gel does! You look so cute Paris! I wish I can sport short hair, alas, it’s not meant to be. 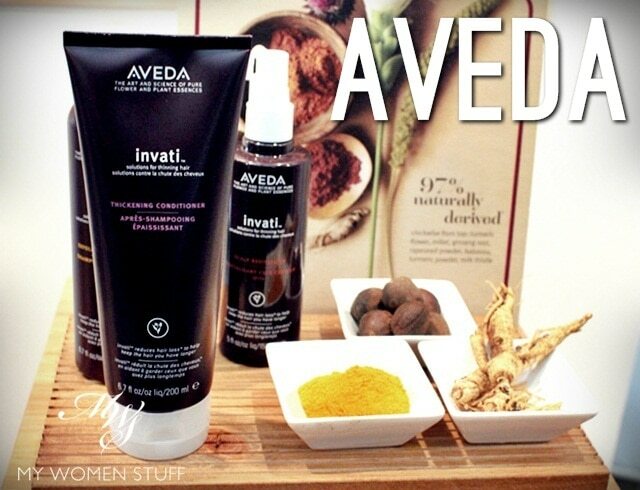 I am very familiar with Aveda and their products. I have been going to Aveda spas since I was in my teens (I can assure you that that was a LONG time ago) and I get my hair colored using the Aveda dyes. They are fabulous and are gentle for your hair. It also helps that my hair stylist is my HG, if you can call a person that, and I love him! I have long, very heavy, wavy hair with long layers and I use the Be Curly Style Prep to keep the waves smooth. I never blow dry, curl, flatiron, etc. and it really keeps my hair in check. 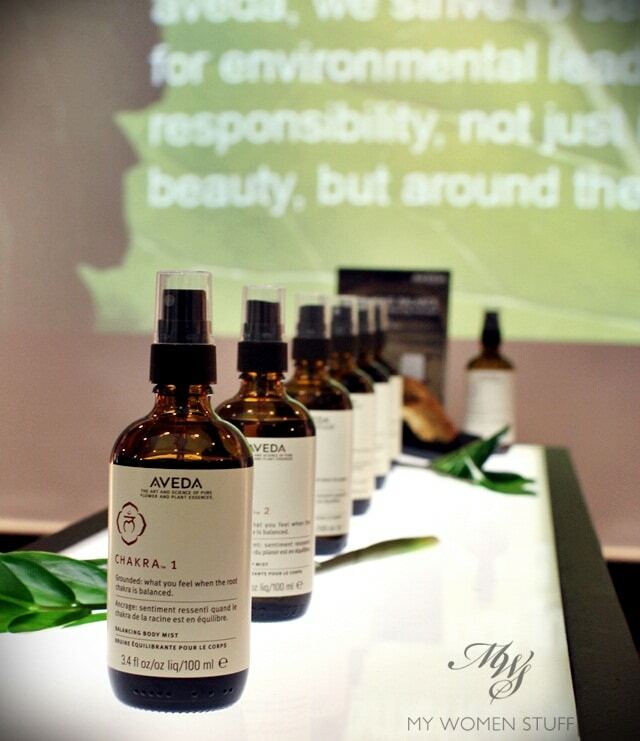 The only issue with Aveda is if you are sensitive to fragrances, it may not be for you. However, they do have a great Sensitive skin care line. Also, I love their makeup and you purchase their makeup in pans to put into their sturdy palettes. The palettes comes in several sizes and you can mix and match the pans. I can put their powder foundation or pressed powder, blush and eyeshadows all in one palette for travel. The smallest palette can accommodate 4 shadows, or two blushes, or one powder/foundation AND a lipstick! The only thing is that their range of colors are small, with new limited edition shades each season. So sorry this was so long, but I hope it will be of help to someone! From my experience at my salon is that if you’re doing subtle color, highlights, or a demi-gloss (semi-permanent) you have less chemicals involved with the Aveda color. I do see the clients who are more aggressive with their hair (i.e. a brunette becoming blonde), then you will see the stylist break out with the heavy artillery! Having said this, I know Aveda is much gentler that a lot of hair color. I would suggest that if you are considering color, do a partial foil (highlights just on the top portion of your head) or an all over demi-gloss. I do a partial foil in the Spring/Summer and I do a demi-gloss in the Fall/Winter. I also never go more than 1-2 tones lighter than my natural color. I never feel like my hair is ever dry or crunchy and it’s shiny, especially after a demi-gloss. I forgot to mention about the hair care. I love the shampoos but I feel that the conditioners do not give me enough “slip”. Since my hair is so thick, long and wavy, I really need a rich conditioner to help detangle my hair. I use Bumble & Bumble Super Rich and Kiehl’s Olive Fruit Oil Nourishing conditioner and once a week I use the Kiehl’s Olive Fruit Oil hair mask. For hair that is a little finer or for short hair, I do recommend the Aveda conditioners. As for the Aveda styling products, I LOVE the Curl Control line and the Sun Care line. Saved my daughter’s hair last Summer! I’ve never tried any product from Aveda. There’s an Aveda salon at my mall but I’ve only been in it once and the place didn’t stand out to me (I live in the States). I love your hairstyle so much, it’s similar to what I’ve had just a year ago except without the lovely volume you have at the back. I brushed my hair forward so it was like a boyish haircut; that way, I got extra layers to my already-layered hair. Hi Paris, I was excited by your post as I just had a Aveda hair colouring done over the weekend. Perhaps a quick update on my hair type. I have medium length hair, permed at the ends and few whites sprouting from the roots. Because I had dye my hair black with a take home kit 3 months ago, the stylist need to bleach my hair out in order to change to a lighter hair colour. I am no stranger to bleaching out my dark hair to lighten it before changing the colour to a lighter shade of brown, but this time round, there was no tingly sensation, no itching like I was expecting from my prior experience. My hair looks shiny, glossy and feels soft. (even after 3 hrs of numerous washing, bleaching, dyeing & blow dry) I was sold and went home with 2 ranges of hair products, ‘repair’ and ‘colour conserve’. Shall see how well the colour will stay on and report back. The whole process costs me SGD300 exlcuding the products. Is it any cheaper in KL? Wah so Datin! LOL. Seriously it looks good on you. Never tried the brand, it’s so expensive and I’m wary of trying out shampoos because of my sensitive scalp. My shampoo and conditioner of choice is always the rosemary mint. They smell really nice and relaxing, but at the same time not too heavy so you can use it regularly. I also use their perfume called LOVE. Again Aveda to me is more of a very relaxing and destressing type of product. But not to worry, when my skin gets really dry i use the balancing infusion. It’s a little oil serum bottle thing that smells so wonderful. They really are a good pick up for dry skin. I also use their tourmaline cream, i think it’s a hydrating one. It works best in tropical condition or when I used to live near the ocean. Maybe it works well with humidity… But since I moved a few years ago to the middle of land masses and mountains with no ocean nearby… my skin gets dryer and dryer and this hydrating cream hadn’t been able to help me. Other than that, I also like to collect their singular notes oil. My favourite is of course Lavender and Bergamot. You can mix them up. Also Aveda has an oil burning range called Lavender Fleur i use to relax before bed. Overall, Aveda is a very ayyuverdic type product like you said, its very relaxing and destressing for me after a hard day’s work. A tip of two, instead of buying the Chakra mists. Get the singular note and mix one up yourself. You can get exactly what you want in a spray bottle, add water and a few drops of whatever note (or as many notes as you want) to make your “smell”. Love your do! Very edgy! How about something for the face, I have used products before, but no in a few years Lots of dutch bloggers are writing quite good things about the Brand. I would love to know what you think. Beautiful! Love the hair makeover. So va va voom and stylo mylo 😛 Hahaha, the wild look with some leather biker chick stuffs! This is a new product to me, thank you for sharing. Granted, I am one of those lazy bums when it comes to hair care and products though I really should take more care as I have long hair. Gotta try Aveda when I have the chance. I have a love hate relationship with Aveda. I’ve tried everything from their bodycare, skincare, haircare and even sensory care (if there is such a thing). I read about it in the early 90s when I could only window shop vicariously through foreign mags. I was most intrigued by their ‘coloured’ shampoo, especially the ones meant to tone down brassiness in grey or bleached hair. Although I suspect it isn’t sold in the local store. The formulas were cutting edge natural back then but many brands have caught up to the game. In fact, for natural skin and haircare, I like Intelligent Nutrients the best. Ironically, it is founded by the original founder of Aveda. 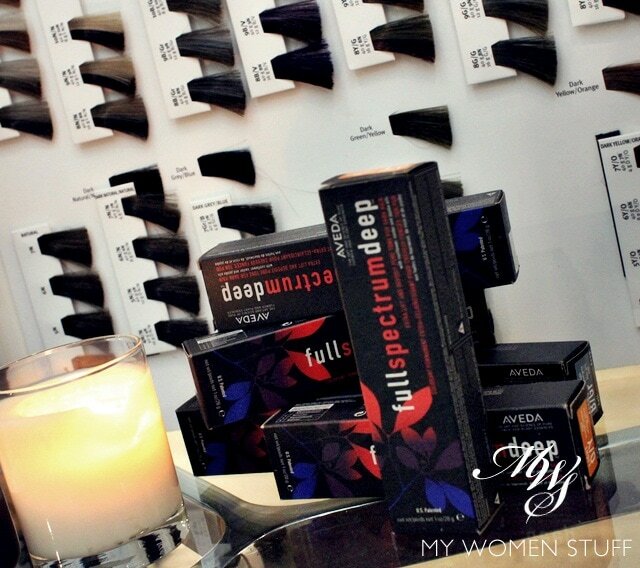 I still enjoy the fragrances from Aveda products and the main things I’d get from are the sensory care products. Tried their skincare before. Not a big fan. My skin doesn’t like it. Nice hairstyle. Very stylish and look like a Datin like you said. I use the Phomollient Styling Foam to give my flat, fine hair a boost every now and then (quite good for achieving “datin” like results) and the Volumizing Tonic which adds a subtle lift to the hair. A dear friend from the US would bring these for me every time she visits but I shop here now that Pavillion and Bangsar have outlets. I must try the shampoo that everyone has good things to say about! Hi Datin! Love your hair do! 🙂 Hope their hair salon opens soon. The Invati hair care range is calling to me. I wish it weren’t, but it is! Hahaha thanks Milktea! how have you been? p/s: I just realised I am not receiving follow up comments via email… maybe I have to subscribe to something on your blog?